Souvlaki and Yeero are two of the most popular food selections at Greek festivals throughout the world. It is at these local festivals where we share our heritage, culture and love of Greek cuisine with the general public. Local Greek communities come together once or twice a year to dance, sing, eat, drink and indeed cook together; sharing recipes handed down from our parents and grandparents. 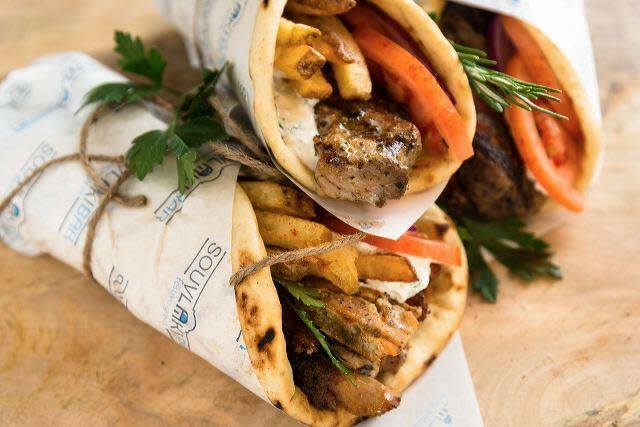 Here at SouvlakiBar, we decided to bring these authentic traditional recipes to you, our friends and neighbors, so that you may enjoy the delicious Greek flavors of fresh-tasting combinations of lemon juice, garlic, oregano, sea salt and olive oil without waiting for the next Greek festival. This is where “Festive Greek” cuisine became our passion and thus our concept was born.